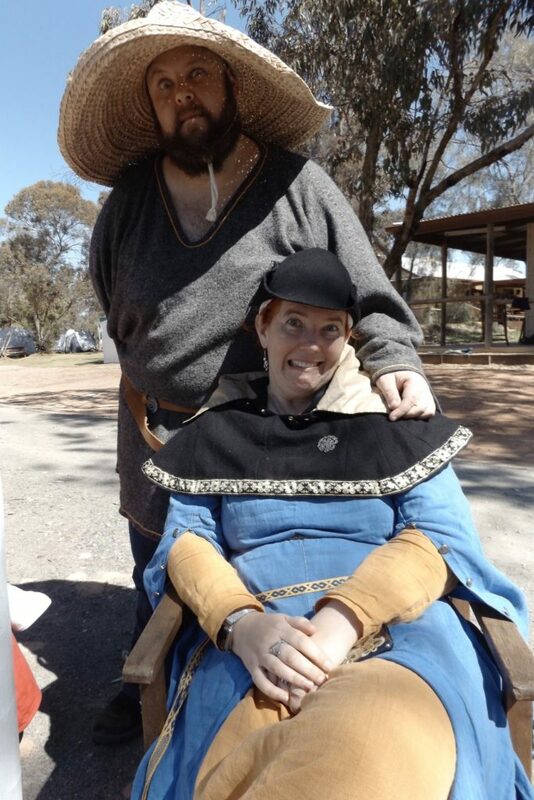 So, it’s been a while since I’ve written a blog post about my SCA adventures – I’ll be writing a partial year in review post soon. But for today, I want to write about Fields of Steel. Fields of Steel came about in an odd way. 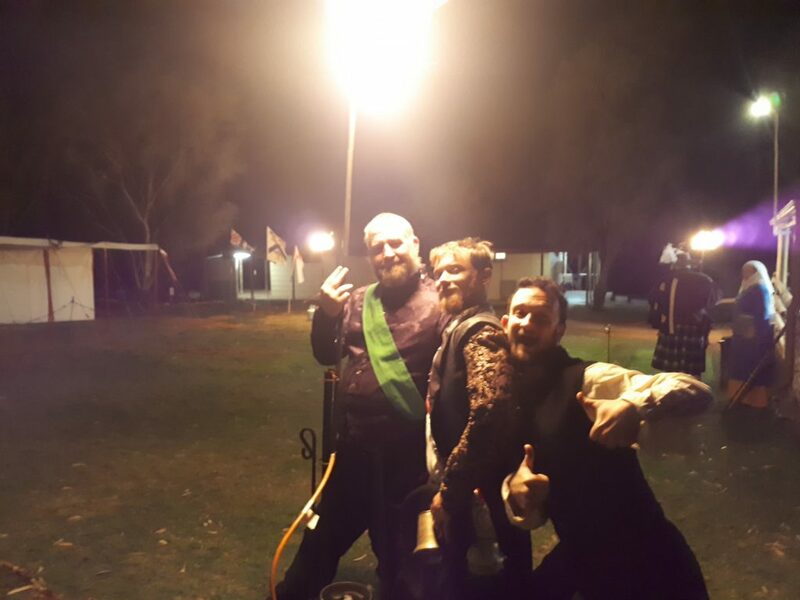 We ended up with a team of 5 Stewards from the event – largely because two groups of us had a similar idea for a high-quality rapier event at the same time and we decided to combine forces rather than compete. I had the theory that since rapier war seems to be popular and enjoyable in other Kingdoms around the Known World it should be popular here – “build it and they will come”. In Lochac we’re limited to rapier war being included in only 2 events I know of (Rowany Festival and Spring War), neither of which focus on it as a dedicated activity. Thus, Fields of Steel was born. We went in with the goal of putting out a high-quality event that was accessible to as many people as possible – we found a new site for this purpose which allowed us to keep costs very low (Early booking fee was $95 full priced attendee with dorm or camping plus food from Friday night to Sunday Lunch). We built a moderately large team to support us and put people in key positions where we predicted they would be needed. As with any first-time event of this scale, there were a few hiccups, but they were largely dealt with on-site with thanks to our excellent community and their willingness to volunteer to make the SCA work. That said, there was a lot of work involved and I estimate that from the Monday before the event to the end of the event and arriving home, I did a 90 hour week for Fields of Steel related activities and I doubt I was the only Steward to do so. With all the planning and work we put in, we were able to bring a firelight tournament to Innilgard. While nowhere near the scale of Great Northern War, it was a good foundation to begin with and hopefully we can put on future events with firelight activities. The costs for this equipment have been carried privately and the labour was skillfully done by TH Lord Kit Hackforth. As part of our experiment with the event, there was the idea that people could really enjoy rapier war if they had some more knowledge on how to do it better. To that end, we applied for grants from the Rowany Fighter Auction Fund and the Lochac Stronger Kingdom Fund to help defray the costs of bringing 4 guest martial teachers in. We were blessed with a volunteer arts and sciences guest teacher who offered an alternative to the martial stream in the form of cheesemaking, which many locals and visitors loved. 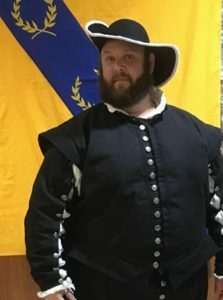 These classes crammed a lot of information into heads and I hope it inspires people to learn and develop skills and to share them with others – likewise, I hope it inspires those we brought over to consider continuing to teach their classes in a rapier context to help grow Rapier War in our Kingdom. The food was amazing for the event, we were very lucky to have tapped a skilled feast cook in the form of Lady Angharad – without her I don’t think this event would have been anywhere close to as successful as it was. The best part of the event for me was catching up with friends from afar and seeing them recognized in court. I had written a bunch of recommendations before the event and it was great to see the process work. A special thanks for this goes to our Khagan who went above and beyond in coming out to the event, despite last-minute weather chaos in Sydney and the pain of dealing with chaotic airports and canceled flights. The entire Royal family were planned to come out for Fields of Steel but the airlines only made it possible for one of them to make the event. I found this rather inspiring though, as the Royals could have canceled entirely and we would have been sad, but completely understanding – freak weather incidents and flight cancellations are out of anyone’s control. As an overall summary, I think the event went well and the feedback I received was that people had fun. If we manage to run this again in 2 years I have a list of improvements and adjustments to make it even better and I hope we’ll see many returning visitors as well as new faces. The biggest possible thanks I can offer goes out to everyone who helped out, who fixed problems before they existed and who helped keep me sane. I have much love for you all. I am Lord Amos Ironbeard, a resident of the Kingdom of Lochac. You can often find me cooking, heralding, fighting, marshaling, running events or making bad jokes. Occasionally I will teach people cooking and rapier combat. Fields of Gold and 2017 in review. ironbeard.net is an independent publication not affiliated with nor endorsed by the Society for Creative Anachronism. The views and opinions expressed are my own unless otherwise stated. Amos Ironbeard (SCA Adventures) · The adventures of Amos Ironbeard within the Barony of Innilgard and the Kingdom of Lochac.